Following Cal's 35-30 win over North Carolina in Chapel Hill 9/2/2017, Cal head coach Justin Wilcox and various players addressed the media to discuss their victory in the season opener. 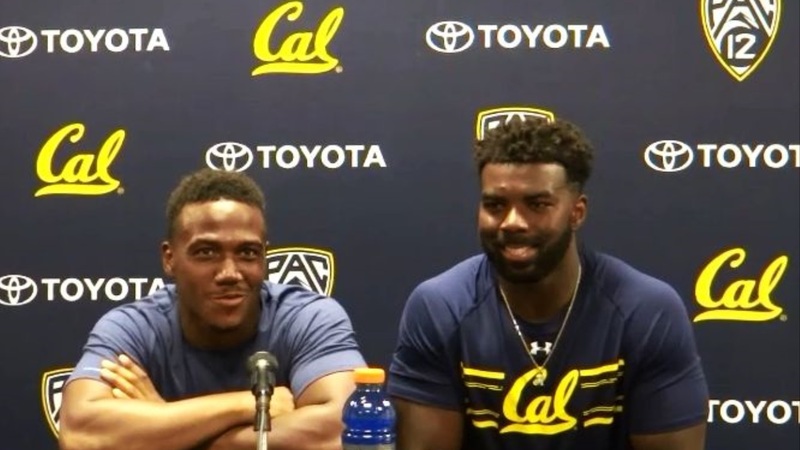 The first video posted is from Cal Quarterback Ross Bowers, who had a big starting debut for Cal, going 24-38 for 363 yards and four touchdowns along with two interceptions in the Bears' big win. Use embedded viewers below for additional video with Cal head coach Justin Wilcox, receiver Vic Wharton, running back Patrick Laird, linebacker Devante Downs, running backs Tre Watson and Vic Enwere, safety Quentin Tartabull, fullback Malik McMorris and receiver Jordan Duncan as well.